Tołpyga biała – (Hypophthalmichthys molitrix) – Silver carp- słodkowodna ryba z rodziny karpiowatych. Ceniona z powodu smacznego mięsa. Występowanie: Chiny i wschodnia Syberia, gatunek introdukowany w wielu krajach, również w Polsce(sprowadzona w 1964r. licznie występuje w jeziorach i stawach Wielkopolski i Zachodniopomorskiego występuje na Mazurach), w celu regulowania nadmiernego wzrostu fitoplanktonu.Ciało krępe, wydłużone, bocznie spłaszczone, pokryte bardzo drobnymi łuskami. 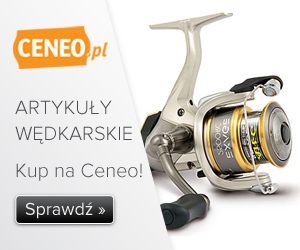 Płetwa ogonowa silnie wcięta. Oczy położone poniżej linii symetrii ciała. Grzbiet ciemnoszary, boki i głowa zielonoszare, brzuch srebrzysty, płetwy parzyste żółtawe. Między płetwami piersiowymi a odbytową ostry, pozbawiony łusek kil. The silver carp (Hypophthalmichthys molitrix) is a species of freshwater cyprinid fish, a variety of Asian carp native to north and northeast Asia. It is cultivated in China for food but was introduced to North America in the 1970s to control algae growth in aquaculture and municipal wastewater treatment facilities. They escaped from captivity soon after their importation. They are considered a highly invasive species and by 2003 had spread into the Mississippi, Illinois, Ohio and Missouri rivers and many of their tributaries. They are now (April 2007) abundant in the Mississippi River watershed from Louisiana to South Dakota and Illinois. Navigation dams on the Mississippi River seem to have slowed their advance up the Mississippi River, and few silver carp have been captured north of central Iowa on the Mississippi. Dams that do not have navigation locks are complete barriers to natural movement of silver carp, and it is important that fishermen do not assist this movement by the unintentional use of silver carp as bait. The silver carp is also called the flying carp for its tendency to leap from the water when startled. They can grow to over 40 lb., and can leap 10 ft. in the air. Many boaters traveling in uncovered high-speed watercraft have been injured by running into the fish while at speed. In 2003 a woman jet-skiing broke her nose and a vertebra colliding with a silver carp and nearly drowned. Pound for pound, more silver carp are produced worldwide in aquaculture than any other species. Silver carp are usually farmed in polyculture with other Asian major carps, or sometimes Indian major carps or other species. It has been introduced to, or spread into via connected waterways, at least 88 countries around the world. The most common reason for importation was for use in aquaculture, but enhancement of wild fisheries and water quality control were also important reasons for importation The silver carp is a filter feeder, and possesses a remarkably specialized filtration apparatus capable of filtering particles as small as 4 micrometers. The gill rakers are fused into a spongelike filter, and an epibranchial organ secretes mucous which assists in trapping small particles. A strong buccal pump forces water through this filter. Silver carp, like all Hypophthalmichthys species, have no stomachs; they are thought to feed more or less constantly. Silver carp are thought to feed largely on phytoplankton; they also consume zooplankton and detritus. Because of their plankton-feeding habits, there is concern that they will compete with native planktivorous fishes, which include paddlefish Polyodon spathula, gizzard shad Dorosoma petenense and young fish of almost all species. Because they feed on plankton, they are sometimes successfully used as methods for controlling water quality, especially in the control of noxious bluegreen algae. However, these efforts are sometimes not successful. Certain species of bluegreen algae, notably the often toxic Mycrocystis, can pass through the gut of silver carp unharmed, and pick up nutrients while in the gut. Thus, in some cases bluegreen algae blooms have been exacerbated by silver carp. Also, Mycrocystis has been shown to produce more toxins in the presence of silver carp. Silver carp, which have natural defenses to the toxins produced by bluegreen algae, sometimes can contain enough algal toxins in their systems that they become hazardous to eat.There are two other species in the Hypophthalmichthys genus, the bighead carp (H. nobilis) and the largescale silver carp (H. molitrix). The genus Aristichthys is also sometimes used for bighead carp, but this genus was based on fallacious theory and should no longer be used .